Ilocandia may be a relatively challenging environment to dwell but historical gems remain in the heartland to remind the people that still, Ilocos is an ideal place to live. ✈ I watched how the purple sky turned into deep blue. The bright and shiny facade became even more prominent. ✈ Old structures like the Laoag Cathedral remind us of the beautiful culture born of harsh environment. The day has spoken the words it wanted to tell. Sun level, low; location, west. 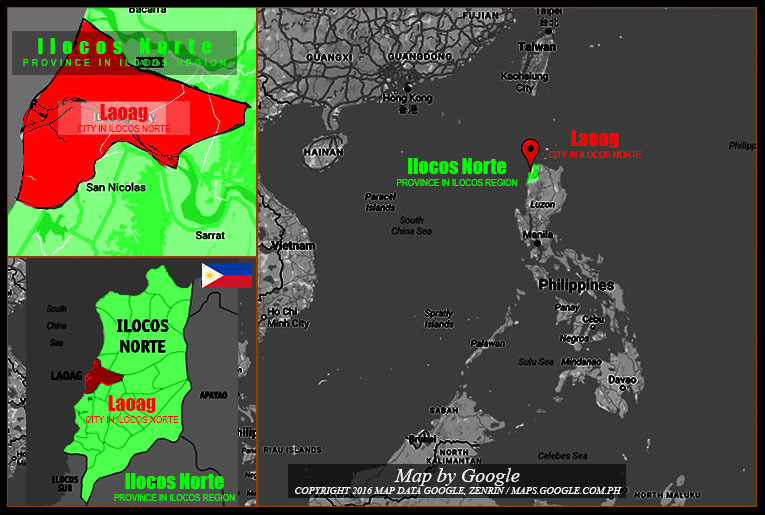 Fiery lights came from the direction of the rugged west coast that cushions the strong waves from taking away the narrow piece of land that's left for Ilocanos, northwest of the island of Luzon. With towering mountains in the east, the traditional land of the Ilocano people has limited plains for them to grow crops. Threatened by big waves, strong winds, land slides, monsoon rains and series of typhoons every year, Ilocanos live in a harsh environment, hence, the "thrifty" qualities of Ilocanos and the culture of "spending wisely" are stereotypes—for survival in time of needs. 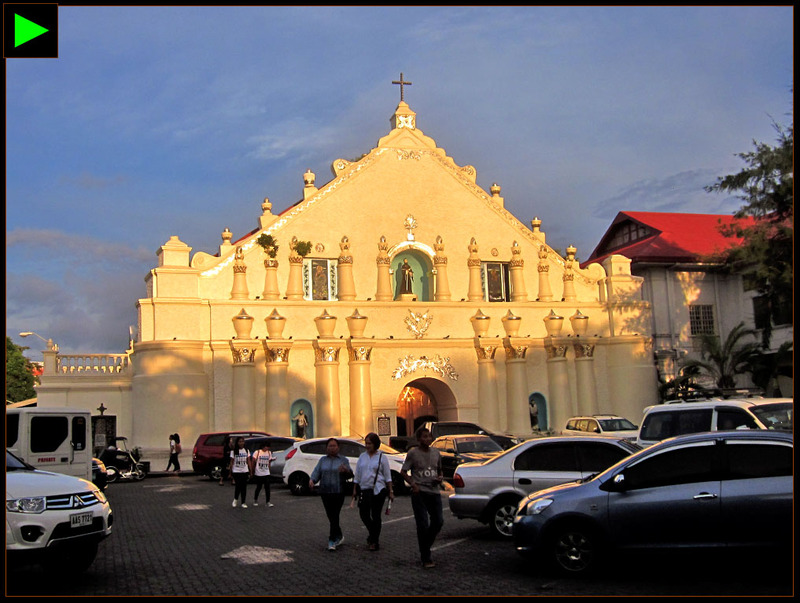 The sun rays coming from the west highlighted the facade of the Saint William's Cathedral or Laoag Cathedral. I was sitting on a bench at the back of a popular fastfood restaurant waiting for the opening of the Laoag Night Market. I watched how the purple sky turned into deep blue. The bright and shiny facade became even more prominent. 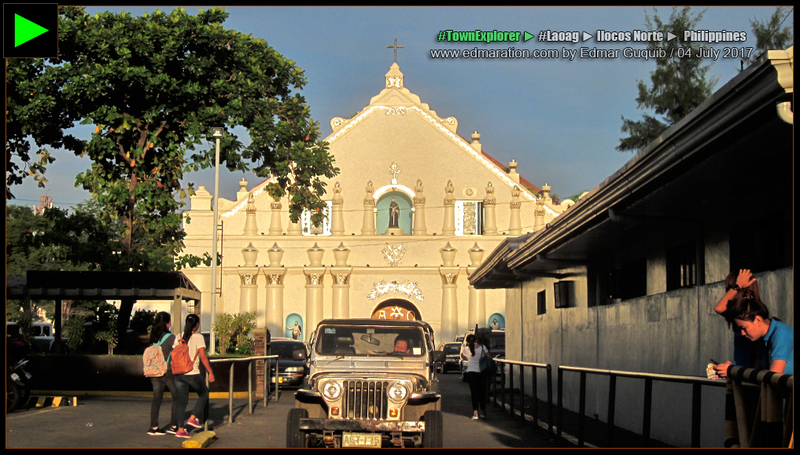 The waiting time unleashed the thoughts in me while seeing the Laoag Cathedral standing with might in front of me. 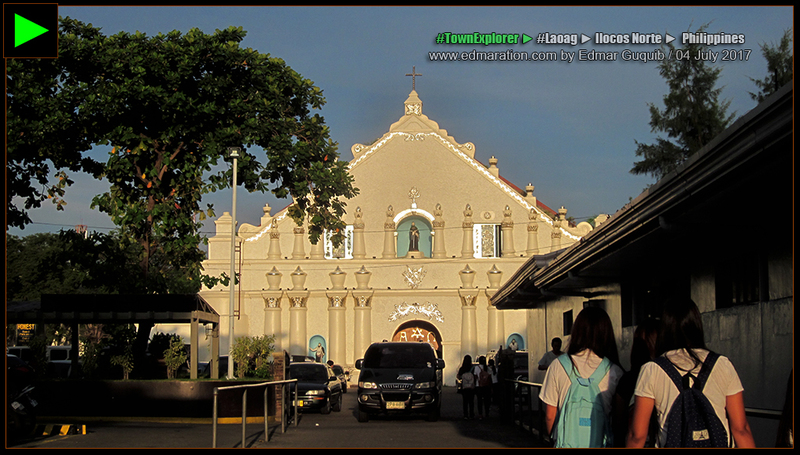 | 1 | [LAOAG] ► THE LAOAG CATHEDRAL RECEIVES SUNLIGHT FROM THE WEST. Ilocandia may be a relatively challenging environment to dwell but historical gems remain in the heartland to remind the people that still, Ilocos is an ideal place to live. 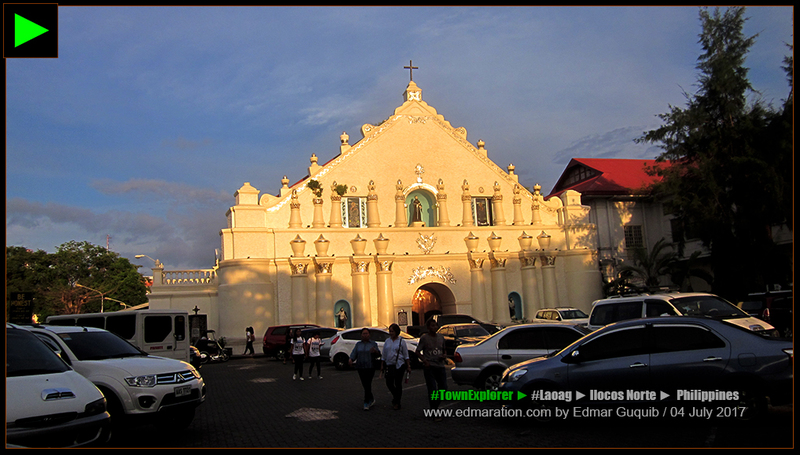 Old structures like the Laoag Cathedral remind us of the beautiful culture born of harsh environment. I've seen the Laoag Cathedral countless times and I've seen its changes. I wasn't able to capture its every change but in my memory, the visual changes my senses have recognized were saved in my soul's database. 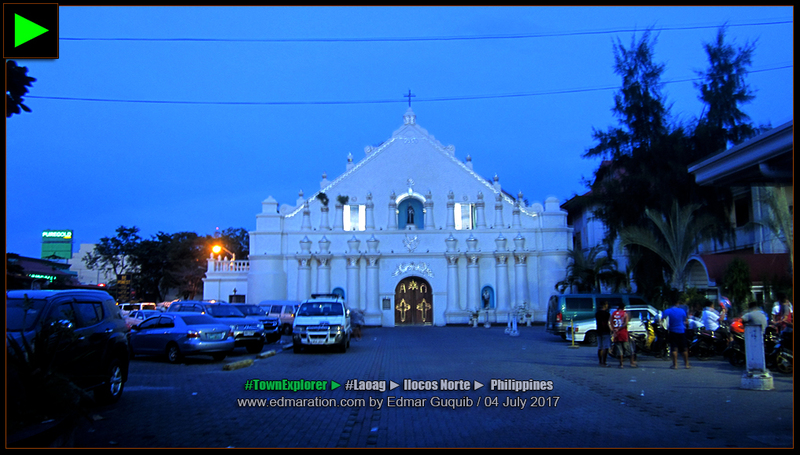 | 2 | [LAOAG] ► The Laoag Cathedral is here to stay. | 3 | [LAOAG] ► The Laoag Cathedral sparkles at dusk. | 4 | [LAOAG] ► Silver accents made the cathedral even more imposing. 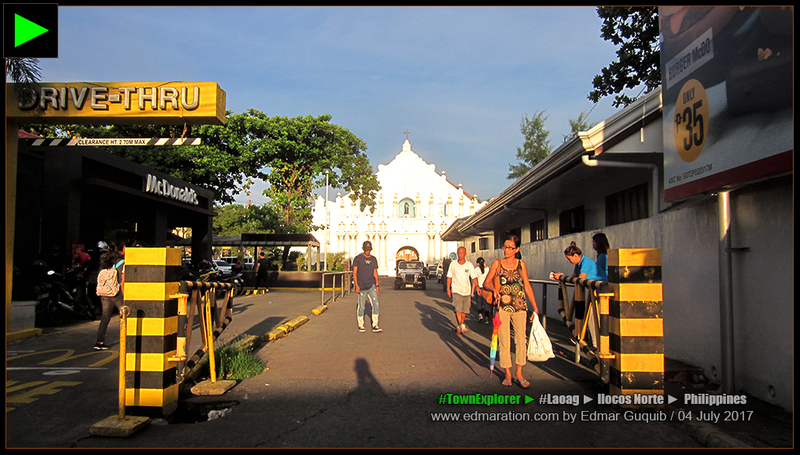 | 5 | [LAOAG] ► People come and go but the cathedral remains. I've seen the day the cathedral was painted with dull hues, the day it was undergoing renovation, the day it was threatened by typhoons standing firm and strong, and even during those times I still didn't recognize its value. The best time I saw it was the day I started to love and appreciate my Ilocano heritage and culture. ✈ This post was filed under the category "Thoughts." See more posts related to this below.